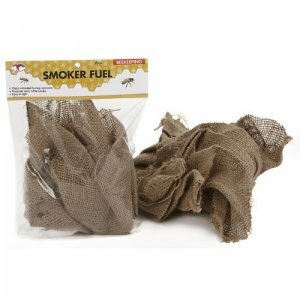 The Little Giant Smoker Fuel is an efficient addition to your Little Giant Smoker. To light a smoker, stuff a handful of fuel loosely in the bottom of the smoker and light it. Puff the bellows to fuel the flames and when it is hot, pack in more fuel, gently puffing all the time. The objective is a cool, thick smoke. Keep the smoker filled with fuel as you work the bees. Low fuel will lead to emission of sparks. This product was added to our catalog on Tuesday 17 March, 2015. Copyright © 2019 OK Hardware Store. Powered by Zen Cart. Mobile Friendly Zen cart templates by Picaflor Azul.